High Quality Bridal Satin is tightly woven, smooth, slick and silky, the most durable satin offered. Satin bedding is made for regular & waterbeds just for you. Sewn The Old Fashion Way In The U.S.A. 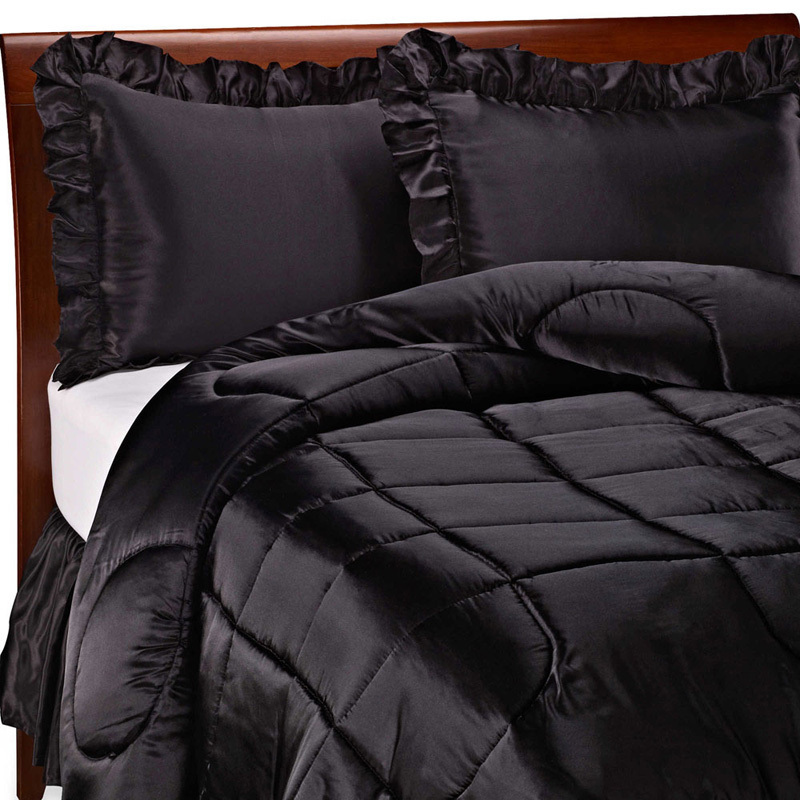 Durable polyester woven bridal comforters and accessories. Bridal Satin is made to order to ensure an exact fit for your specific bed. Custom sizes also available. Comforter Quilting: Unless otherwise specified, comforters will be tack quilted using a hand-guided method. Other hand-quided quilting patterns available are: diamond, bowknot, bellflower, leaf, pagoda, leaf-daisy, squares and channel. Reversible Two-Tone Color: If you would like your comforter to reverse to a different color, simply "Add To Cart" your comforter, then select "Continue to Shop" before checking out, then add the "Reverse Color" as a new product, otherwise your comforter will reverse to the original color you choose. Bridal Satin Care: Bridal Satin can be washed on a gentle cycle, in luke warm water, with a mild soap (not a detergent). The dryer setting should be on delicate. Press smooth with your hands on the flip side while damp, or, you can iron on low setting to eliminate wrinkles. Dry cleaning is recommended for pillow shams, bed skirts, duvet covers, bedspreads, and comforters. Proudly manufactured in the U.S.A. Bridal satin is special order and non returnable.